1. Property Text Codes - Each property is automatically assigned a text code when you add the listing into your AgentMarketing account. You can even edit the text code to something a little more clever if you want. This is a great lead generator because the text code automatically shows up on the flyers and other print material you can order for your listing (sign rider being a great one). When someone texts for more information on a property (usually as they are still sitting in front of the house because you have a sign rider with the text code on it), they immediately get a text back with all of the important property information (beds, baths, and a link to the property website) and you immediately get the lead! Then you can give them a call and help them find a home. 2. 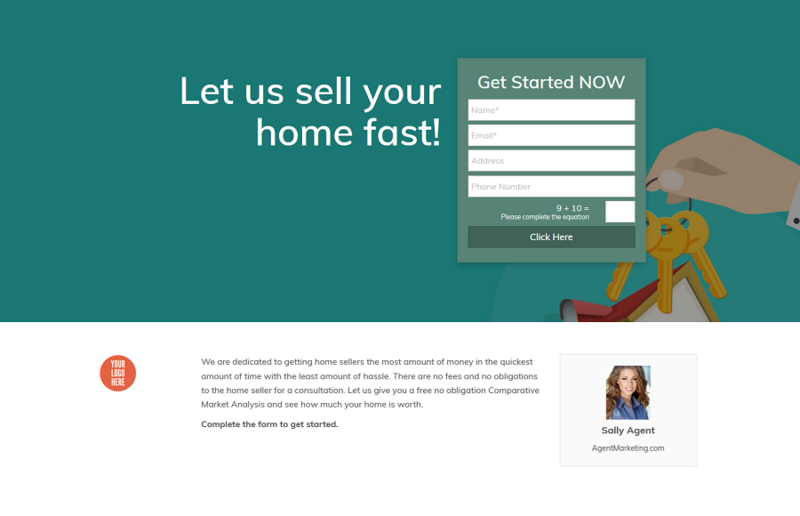 Lead Generating Pop-Up for Property Websites - This pop up "pops up" as soon as someone visits the property website. You can edit the message that they see and you can decide if you want it to be forced or optional to fill out. 3. Squeeze Pages (Landing Pages) - This is a great way to stir up some lead generation. We have different pages you can choose from that already have content on them, so you can leave them "as is", or you can choose to edit the content on the squeeze page to make it more specific to what your needs are. 4. My Texts - These are custom text campaigns. You can create these and use however you want for lead generation. For this feature, you get to create the text code, as well as the message that goes with it. You can use these in your email signature, on flyers, or any other advertising or ways you can think of. Don't forget to set up HOW you want to be notified of all your leads coming in! You can do this by hovering over your photo in the top left, then click EDIT, click on NOTIFICATIONS at the very top of the page. From this screen, you can choose how you want to be notified.